Can I go to the United States with Criminal Charges Pending? Some Canadians assume that as long as they have not yet been officially convicted of a crime, they're still allowed to travel to the United States. This is simply false! When a resident of Canada has been arrested for a crime but not yet convicted, for the purpose of immigration they can be considered inadmissible to the United States of America similar to if they were already convicted. The USA can consider all foreign aliens to be criminally ineligible for entry if they have a criminal trial under way, a warrant out for their arrest, or criminal charges pending. If a Canadian wants to enter the United States with a pending criminal charge, the only way they can legally avoid the risk of a border denial is if they have a valid US Entry Waiver. For this reason, many residents of Canada with criminal charges pending that they believe will either be dropped or that they will be found "not guilty" on will simply wait to visit the US until after their trial date. If you require emergency entry to the US while waiting on a criminal verdict, your only option is to apply for humanitarian parole which is how Canadians with a criminal record enter USA for urgent reasons (must be a valid emergency to get approved). US Border Patrol has full access to Canadian criminal databases, and visitors from Canada attempting to cross the US border with pending charges can be automatically flagged when their passport is scanned into the system. 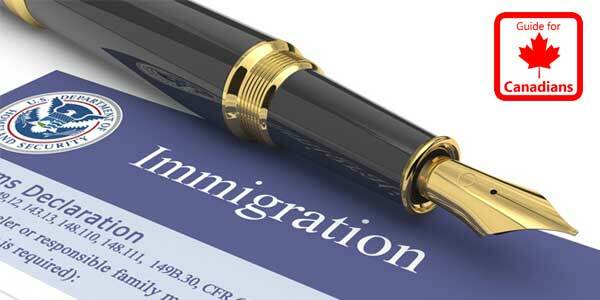 Questions about entering the U.S. while waiting for a criminal trial? Contact us now for a free consultation!